Venture behind the scenes with in-depth bonus features that reveal the innovative filmmaking technology used to create the richly immersive jungle world and characters; Follow the journey of the film’s only on-screen actor, charismatic newcomer Neel Sethi (Mowgli); Delve into a candid and humourous scene-by-scene audio commentary with director Jon Favreau and meet the all-star voice cast who help bring the film’s colorful characters to life, as well as the musicians who accent the adventure with a majestic music score. I admit that I have not read the book when I was a child . I know I have seen the cartoon movie when I was a kid but I really don't remember it so I don't have anything to compare this version with but I did enjoy this movie and I know my husband enjoyed it as well. It isn't my favourite Disney movie but it is well done and it did keep me entertained. The CGI is absolutely amazing and it has such a fantastic cast. 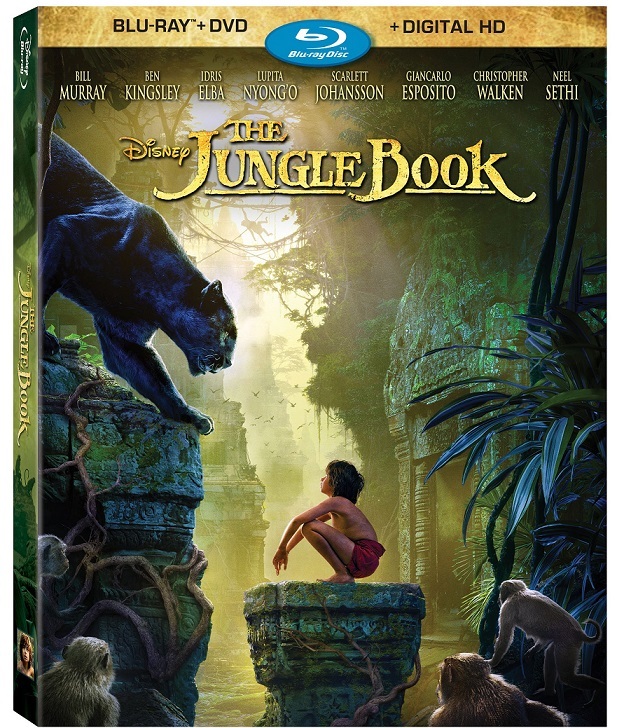 You can now purchase The Jungle Book online and in stores near you.